Digitalization is a key element of BASF’s new corporate strategy. The company has been addressing this topic for many years with great success. Since 2015, cross-divisional teams have explored the opportunities for the intelligent use of data and digital technologies, tested them in pilot projects and rolled them out in the company. Work in research and development has also been supported by digital solutions, with the Quriosity supercomputer being a main driver in this area. In order to pool all these activities and bring the experts from digitalization and IT closer together, BASF established the new Digitalization & Information Services functional division on January 1, 2019. 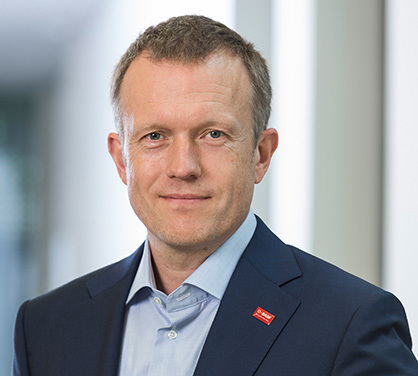 The division is headed by Christoph Wegner (49), who will also serve as Chief Digital Officer (CDO) at BASF. “Over the last few years, we have shown how to implement digitalization in a chemical company,” Wegner explained.